Click on the Class Photo above to see a full screen photo and names. 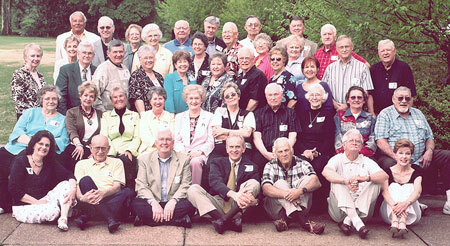 The 55th Reunion was held April 21 - 22, 2006 in Memphis and consisted of an informal Reception-Dinner, a Walk-through of Tech High School, and a closing, informal Dinner. Click on any "Photo Album" below to see photos of the "good times" at the events.